It’s easy to get carried away and start talking about what this means for the World Cup which draws ever closer but for now, let’s just focus on the key talking points from this weekend. There was a time, not too long ago, where France could do what looked like the incredible. They would score tries from behind their own line and win games in ways that no one thought possible. But those days are gone and very sadly, Les Bleus have found themselves in a position where they just don’t know how to win. In last year’s Six Nations, they were beating the Irish and the 80-minute siren had gone but still, they managed to lose. Last Spring they were playing the much lower ranked Fiji in Paris but still managed to lose. And on Saturday morning they were 16-0 up at half time against a Welsh side that was playing terrible rugby, and, yep, somehow they managed to put in an awful 40 minutes of rugby and lose. They first 40 minutes in Paris were impressive – it wasn’t the old French flair, but instead a calculated and controlled France who kicked well, played to the conditions and took the few opportunities that came their way. In the second 40 minutes those very same players had gone and instead, they made bad choices, executed poorly and basically were a shambles. It will be interesting to see how the French respond, and they will have to respond in a big way because their next game is against England at Twickenham. 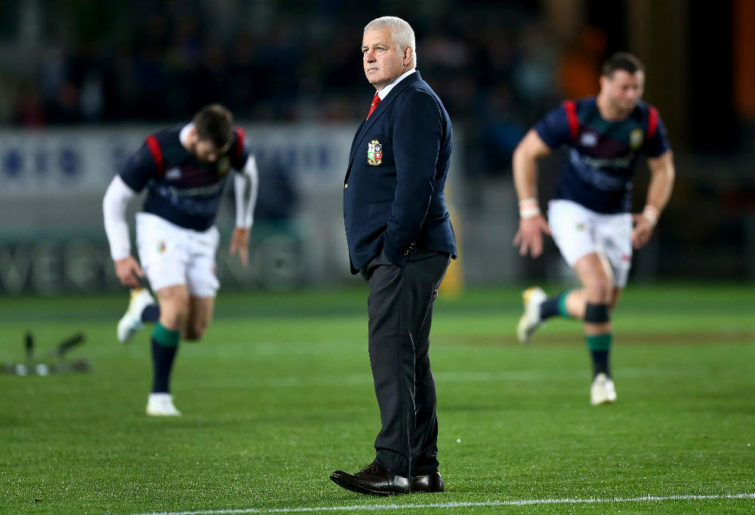 Ok so I’m not sure I totally agree with this line but it was said by Warren Gatland and he’s a pretty impressive figure who knows his rugby so we’ll let it go for now. But it’s worth considering. The Welsh were not just losing in Paris – they were playing terribly and didn’t deserve to win. Their game plan was wrong given the conditions and their execution was well below par. But something happened in that changing room at halftime that led to an incredible turnaround. Yes, they got lucky with some poor French play but they took advantage perfectly of those mistakes and they got the win. Ireland won with a drop goal well after the final siren in Paris the year before and everyone hailed it as a testament to their quality and attitude and how that would see them become world beaters. If that’s true then the Welsh definitely deserve some pats on the back. However, if they play the same way against the Irish or the English in this tournament you’d have to say that they will not get the chance for a comeback. So they must learn quickly to never start a match like that again and move on. The Welsh are well placed now for a real run at the title – they have key matches at home and will take great heart from this win. They have won ten in a row and they are very hard to beat. Sexton who? It’s all about Finn! While the end result between Scotland and Italy looked close, it was Scotland’s game all day long and one of the main reasons for this was the way Finn Russell played. He is on fire at the moment and his kicking and passing ability should keep a lot of defensive coaches up at night. 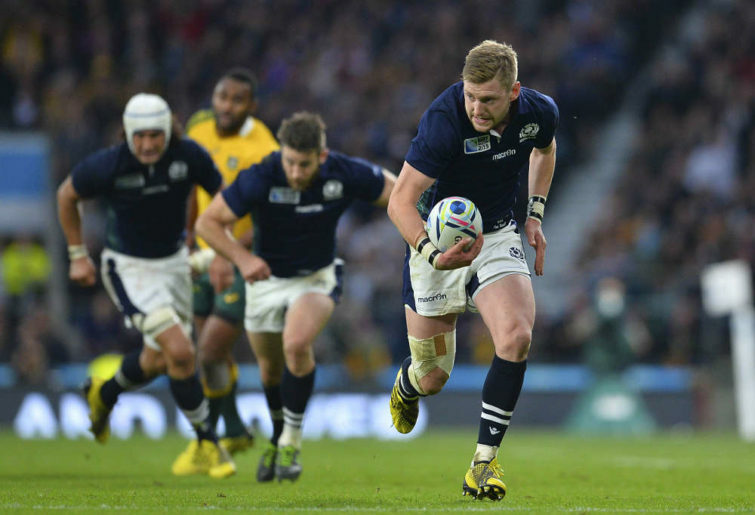 One of Scotland’s early tries came as a result of kick through from Russell. It was a kick that many fly halves around the world could execute but what made it stand out is that right up until the moment he kicked the ball, it looked to the world (and certainly the Italian defence) that he was going to pass. His radar, however, had scoped out the space that the rush defence had created in behind and he deftly kicked into that space without even looking. It’s been said before that part of Russell’s problem is that he doesn’t perform like this week in, week out. But his club form for the past two years has been impressive and his international form is becoming more and more consistent. If he can string together four more performances like this weekend’s, then the rest of the Six Nations need to watch out. With players like Jones and Hogg around him in his back line, Russell could light this championship up. It’s not a new topic, but at some point, we’re all going to have to admit Italy might not deserve their spot at this level any longer. Yes, there has been an improvement in their domestic club form and yes, they have been known to pick off one or two of the top sides over the years. But, Georgia are champing at the bit to get a seat at the top table and every year that goes by with Italy so rigidly propping up the bottom of the table you have to ask yourselves how much longer can this go on? It’d be quite a big decision from World Rugby to shake this whole thing up and it might require the creation of a 2nd division international comp in Europe first with some sort of promotion-relegation set-up, but Italy need to start being more competitive. There were an incredible number of mistakes made by teams trying to cope with their opposition’s kicks this weekend. Tries and opportunities were coming all over the place as teams struggled to cope with catching, picking up or retrieving kicks. While you could point to poor handling, the important point here is the real power of a good kicking game. This weekend, good kicks didn’t just earn territory or possession – it scored a lot of points too. Equally, poor kicking led to real problems. We all love an open, running game of rugby with players offloading and counter-attacking. But the best teams use their kicking game as a real weapon and method for dominating the opposition. For teams who have a poor kicking game – Australia this includes you – they have to improve otherwise the World Cup is going to be a very tough place. 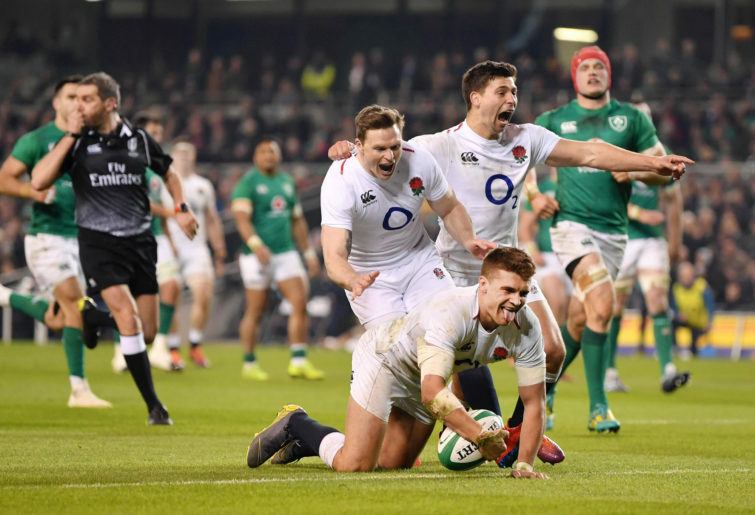 The best game of the weekend was the Ireland against England clash in Dublin. Most people, including myself, had Ireland down as favourites. They are an awesome team who know their game and roles so, so well and they were at home. What could go wrong? Well, Eddie Jones has shown that the Six Nations last year could well have been a genuine blip rather than a trend. His England played well in the Spring internationals and almost picked off all the top Southern Hemisphere sides and in Dublin on Sunday morning, they managed to rack up a big win over Ireland, scoring 4 tries. They were powerful, accurate, patient, creative and lucky – all the things you need to win at the top level. They didn’t blow Ireland away but rather just kept squeezing and building pressure believing eventually something had to give way. The return of both Vunipola’s and Manu Tuilagi had real impact and Henry Slade finally delivered on the promise that he’s shown before. More importantly, Tom Curry might have shown that he’s the key to the English back row that has been missing since 2003. To be clear, this doesn’t mean England are the best side in the world now and it certainly doesn’t mean that Ireland are in trouble. But it does mean that Eddie Jones has got his mojo back and if England repeats their intensity and accuracy in the rest of the 6 Nations they will be very, very hard to beat. For a while now, Jonny May has been in the England set-up and has been both awesome and frustrating. He used to cause as many issues as he solved and he left many wondering whether his pros really did outweigh his cons. But in the past couple of years he’s become a legend and in Dublin, he was fantastic. Not only is he fast, but his kicking game has really improved (witness his assist for Henry Slade’s first try), and his catching ability of the high ball is getting closer to that of Israel Folau’s. Add to that the fact May will always give every last calorie of energy and never stops running and England have found a true weapon in their back line. If they can then add a just as quality fullback (sorry, but Elliot Daly isn’t there yet) and England will take a bit step forward.